Mary's pavlova is topped with pretty berries, but most fruits work well so feel free to use what's in season. 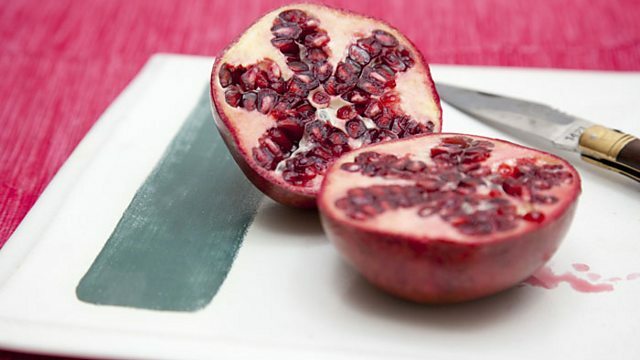 It's a great dessert for Christmas because it can be made well ahead. Preheat the oven to 160C/140C Fan/Gas 3. Line a large baking tray with baking parchment and draw a 30cm/12in circle in the middle of the paper. Draw a 15cm/6in circle in the centre of the larger circle to make a ring. 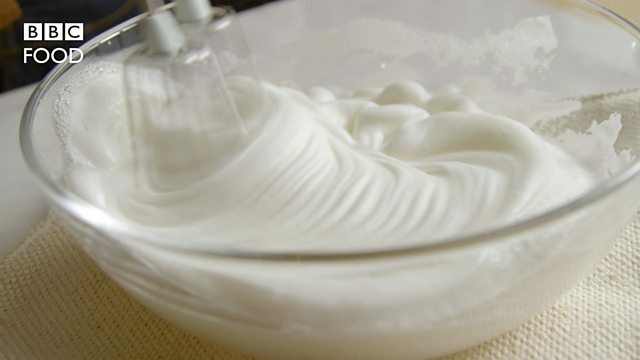 Put the egg whites in a clean mixing bowl and whisk with an electric whisk until soft peaks form when the whisk is removed. Gradually add the sugar a little at a time, whisking on maximum speed until they are stiff and glossy. 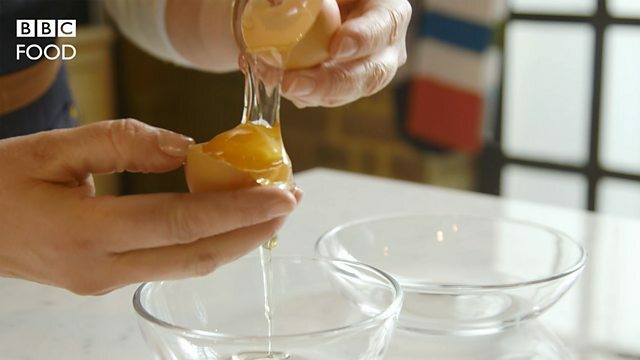 Mix the vinegar and cornflour in a cup until smooth, then stir into the egg whites. Spoon the meringue onto the ring drawn on the baking parchment. Using a large spoon make a shallow trench in the meringue for the cream and fruit to sit in. Transfer to the oven and immediately reduce the temperature to 140C/120C Fan/Gas 1. Bake for 1 hour–1 hour 15 minutes, until the outside is hard but still white. 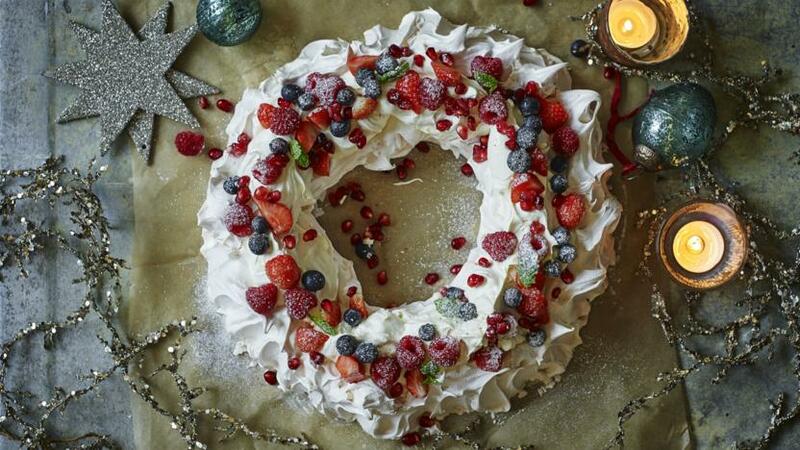 Turn the oven off and leave the pavlova inside for an hour or overnight to cool and dry. To assemble, whip the cream, vanilla paste and icing sugar until stiff peaks form when the whisk is removed. Spoon the cream into the trench in the meringue. Arrange the strawberries, raspberries, blueberries and pomegranate on top and decorate with a few mint leaves, if using. To serve, dust with icing sugar and cut into wedges. The pavlova can be made up to 1 month ahead and stored: wrap it in cling film and then foil and store in a cool place.